Mini Prize Drop is fun-filled action! Unexpected twists and turns make this a fun game for all to play. 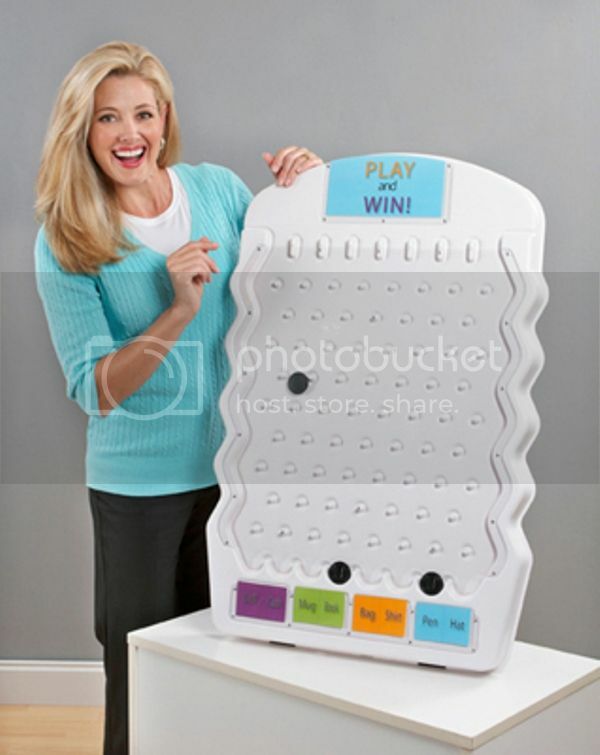 Present your prizes upfront or place a blank or "teaser" card in front of the prize to create mystery and excitement for your contestants.This lightweight game is great for tradeshows, customer appreciation, annual meetings, school fairs, fund-raising events, pool parties and family reunions. No assembly required! Includes 3 Black Mini Prize Drop pucks. Additional Pucks are available for purchase. - This product is also available in Black.